Isn’t it a universal need to be able to travel through life with ease? We work hard at our studies, careers and personal lives to achieve some sort of goal. Motivational speakers will say that being able to engage in your passion as a job means that you will never work a day in your life. Perhaps what this over-simplified motivational is trying to say is that passion and drive, enjoyment and a higher sense of fulfilment will always make work seem worth the effort. When working with horses, there is a trend developing which not only acknowledges equines as sentient and involves them in the decision-making process, but it also is aiming to find the best ways to “teach” horses skills, so that we can enjoy them safely. This is at the root of all training, whether we want to admit it or not. The motivation for this training, as well as the end goal, are the variables which shift in the equation. In my mind, there are two types of training philosophies upon which all other “methods” are based. It is easy to confuse the two, surprisingly so. Within each category, there are various sub-categories under which different modalities and methods will fall. The first category, we shall call it Man Teaching Horse or MTH, often serves to make it easy for the human to apply a principle in order to gain a result. Subtleties of re-enforcement can be found in this category. 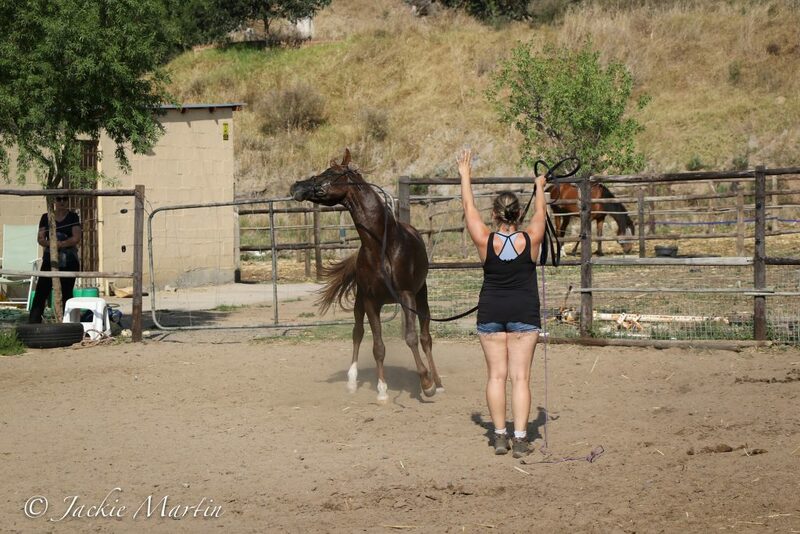 The end goal is always that the human can do something to the horse to make them perform a task. That does not mean that the modality is wrong. It merely means that it serves the human. It is generally a concrete structure of training, which can be sold to humans as a program. There are many such programs and trainers all over the world. The old masters also engaged in the game of “who can produce horses fastest/most kindly in a short space of time/sell an idea en masse”. This input-output type of thinking is the only way that people can realistically consolidate the application of training which guarantees success or reward consistently, with a few isolated outliers in statistical results. 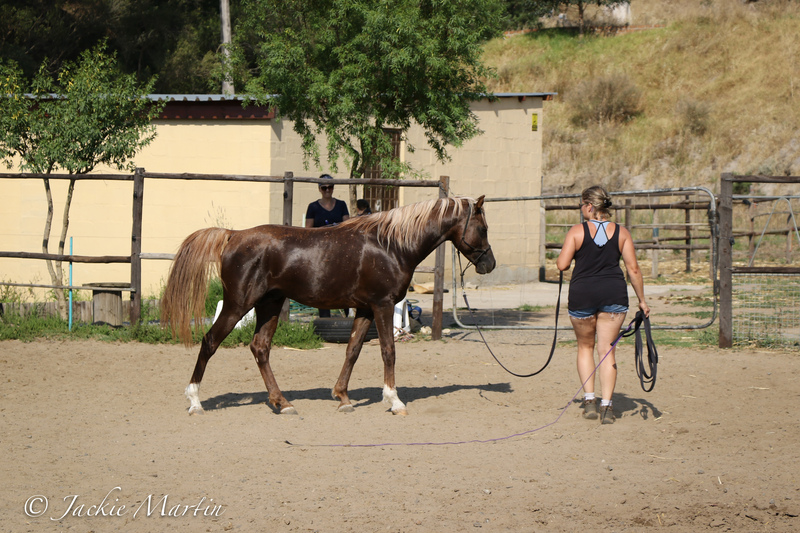 In short, the program of choice may produce a 90% success rate and the remaining 10% of equines will not conform to the method or “pass”, and therefore be deemed the exception to the rule. This manner of thinking gives people comfort, because the onus is, to a great degree, on the horse to succeed to understand the program. Tangible results offer reassurance, the faster, the better. Trainers who are skilled at their method will appear to be doing magic in front of those who feel like they have been missing a vital link in their training. The results of the program, however, rely solely on the ability of the owner to reproduce the training that the magician has offered. Luckily these skills are often easily transferrable and the owners go forth, feeling satisfied that they have received THE answer to their future success. If we remove for a moment the thought of how the horse would perceive either of the two main ways of thinking, let’s focus on the handler for a moment. In the first way of thinking, there are very few trainers who are able to impart knowledge in such a way that the owner is able to assimilate the method enough to apply it for an extended period of time before needing outward assistance again. The benchmarks for the method shift as the horse learns the games. For the second method, the benchmark shifts daily, as the onus is constantly on the handler to improve their perceptions, observations, reactions and presence. The second way of thinking assumes that the horse already has all he needs, that he is aware of his body, that he has thoughts about life in his immediate surroundings and that everything he says is rooted in an honest reflection of something internal or external in himself, his environment or his handler. The second way of thinking is not easy to sell as a program, because it is not a program, but a way of being. Often, people want this way, but they lose motivation, or the goal seems too “out there”. This manner of thinking challenges the human to change. 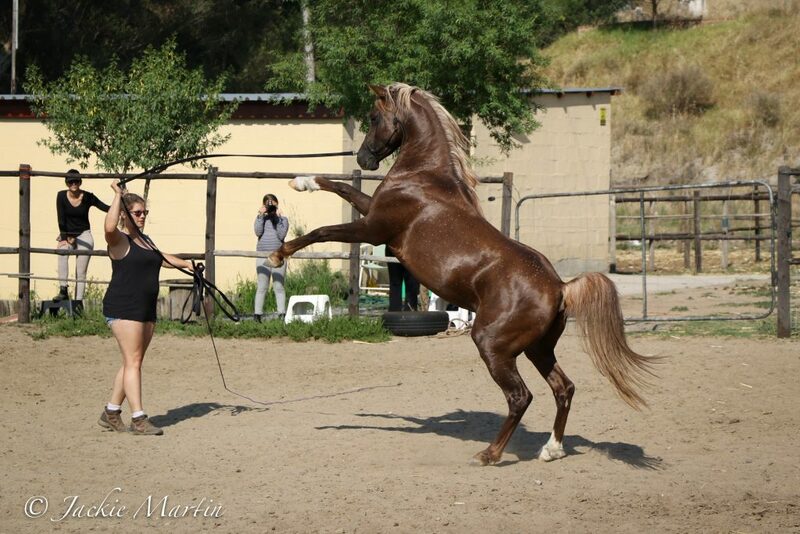 It challenges the human to spend many hours observing and understanding the horse, his environment and himself. The question is carried forward despite the goal or task. This manner of thinking is unpopular because often the results cannot be tabulated. The results are like that of a friendship blossoming through dark and light times, strengthened through shared experiences, quality time spent together and communicative mysteries unlocked. Trainers who try to relay this type of thinking to their students are often frustrated at the simultaneous complexity and simplicity of the lessons. Just like the answer to this way of thinking for horse and rider lays in shared experiences and ongoing experience, so too does the trainer relay information – through continuous interaction, observation, feedback, discussion, experimentation and shared guidance. There is no textbook for this type of training and any which come close are viewed as pseudoscience. How do you measure something that does not have an immediate, obvious result? How did you reach the point where your horse seeks you out now, where they were deemed dangerous two years ago? How do you put into words how you got there in a simple, step-by-step program? Can we?